Patients with malignant brain tumours have an increased risk of thrombosis. Up until now we did not understand the mechanisms behind this. An interdisciplinary study conducted under the direction of Julia Riedl and Cihan Ay of MedUni Vienna’s Department of Medicine I and recently published in the leading journal Blood has now shown for the first time that a special protein called podoplanin is involved in the development of thromboses that form on the surface of tumour cells. Thromboses are a common complication of cancerous diseases, which affect the blood clotting system and can activate it. The general risk of thrombosis in cancer patients is approximately 4 – 7 times higher than in people without an underlying malignant disease. Cancer patients who develop thromboses have a higher risk of mortality. A venous thromboembolism (VTE) a blocked vessel in the venous vascular system – is influenced by the type of cancer. 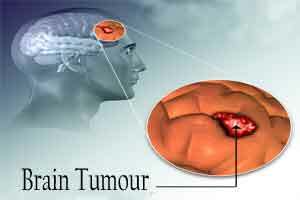 Malignant brain tumours are amongst the types of cancer with the highest thrombosis risk and thromboses are also common in patients with pancreatic cancer and lung cancer. In the case of a malignant brain tumour, there is a 15 – 20% probability of suffering a venous thromboembolism. Now it has been found that the protein podoplanin, which normally occurs in the lymphatic system and is important for embryonic development, for example, can be formed in the tissue of brain tumour patients. It serves to activate the blood platelets, which are an important component of the blood clotting system. For the study, which was conducted as part of the Vienna Cancer and Thrombosis Study (CATS), which has now been running for more than 10 years, tissue samples from brain tumours from 213 patients were stained using a special technique, in order to identify potential podoplanin expression. “It was found that increased podoplanin expression is a strong indicator of the occurrence of venous thromboembolisms, whereby the VTE risk of patients with malignant brain tumours was increased six-fold over a two-year observation period,” said the lead investigator.